That’s “also known as” and I’m writing on the topic due to a remark about my use of Pamela J. Dodd for writing, my website, and this blog. I don’t use my married name; instead I use my maiden name. When I first began to seek a publisher for The Gift Horse, I decided to make a distinction between the writer from other aspects of my life (including wife, mother, and English instructor.) For the record, I use hubby’s name on my driver’s license, my bank account, and at my job. In fact, both of my publishers send checks to the married name as well. Before I signed the first contract, I did ask hubby if he had a problem with my use of Dodd; he said, “I don’t care." And I don't think he does. For him, it has all the importance of my choice of laundry detergents. Okay, I do tend to digress. Many writers use a nom de plume, and most people know that Samuel L. Clemens wrote as Mark Twain and Mary Ann Evans wrote as George Elliot. However, readers might not know that M. M. Kaye is Mary Margaret Kaye Hamilton, that Marilyn Harris Springer writes as Marilyn Harris, or that Diana Jean Gabaldon Watkins writes as Diana Gabaldon. Apparently writing under a maiden name is not just my idea. Some writers, of course, have several “author names.” I know several folks who count Nora Roberts as a favorite, and she also writes as Sarah Hardesty, J.D. Robb, Nora Roberts Smith, and Eleanor Wilder. I’ve heard Bob Mayer speak at writer’s conferences in the southeast; he writes as himself and as Robert Doherty, Greg Donegan, and Bob McGuire. Here’s a website with some 11,620 entries (4,179 'real' + 7,441 'pseudo') so you can look for your favorite authors to see who they really are. When I was in high school, my mother recommended books by Jean Plaidy and Victoria Holt. During high school and college, I viewed the latter of that pair as one of my favorite writers. Later, I discovered Phillipa Carr, who also wrote what mama called “mysteries” on my own. Some years later, I discovered that the Plaidy, Holt and Carr books were all written by the same author, Eleanor Hibbert. Entertainers often use “stage names” which is another use of a/k/a. For instance, Engelbert Humperdinck is really Arnold George Dorsey, and Wynonna is Christina Ciminella. If you ever want to write as someone else, on the title page of the manuscript, put your real name, then on the next line, put writing as__________. Fill in the blank, and you are in good shape. 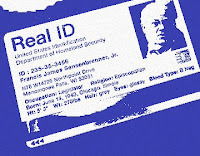 What I can't tell you is whether or not you want to let anyone know your alternate identity. One of my main interests, in reading and on screen, is the various sub-genres of Science Fiction. However, it is important to know the past, so my "very brief" history of science fiction is now a short video. I’ve been to a couple of plays in the past two weeks, and they were both really good, but quite different. The Atlanta Shakespeare Company’s Romeo and Juliet is performed in The New American Shakespeare Tavern, on Peachtree Street, just a couple of blocks from the Fox Theatre. This is a small playhouse, modeled after the Globe, with a stage which juts out onto the floor and a rustic balcony. 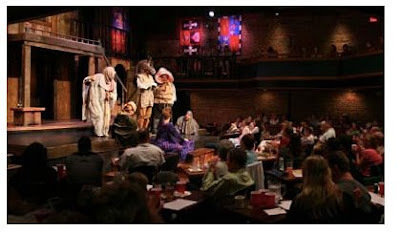 In Shakespeare’s day, the folks around the stage stood up, having paid only a penny, and were known as “groundlings.” We paid a bit more to have a table close to the stage, and this is a really intimate experience. There are no bad spots, since the facility seats only about 235 patrons. For this production, they used an additional section in front of the stage, which served as the tomb in Act V, and we were no more than five feet from it. The interpretation of a Shakespeare play is always important, and I’ve never seen a Juliet who giggled so much, but it did work. The actress managed to make us believe for a while that she was not yet 14 and very much in love with her Romeo. Mercutio wasn’t as dynamic as I thought he should be, and that didn’t seem quite right. One of my former colleagues believes that Shakespeare killed him off because he was stealing the show, and that didn’t seem to be the case with this production. Still, we all found something to like in this version of Romeo and Juliet. More recently, I accompanied a church group to the Atlanta Passion Play, at the Atlanta Civic Center. We had seats in the “dress circle” which turned out to be pretty far from the stage. In fact, a few rows above us, a group were passing around binoculars, and it would have been a good idea. Despite the distance from the stage, this production is really interesting. The cast was numerous, the sound system brought out some very fine vocals, the orchestra was first rate, and the lighting made the events almost surreal. I’ve seen many versions of this story, of course, but this one is almost as sprawling as one of the old epics from the ’50’s. I was halfway expecting to see Charleton Heston stride across the stage with a staff in his hand. My favorite musical version of the Easter story is “The Day He Wore My Crown” and the passion play didn’t change that, but it is beautifully done, and I would recommend it to anyone who wants to see a lovingly crafted Easter musical. I’m a fan of movies, but there is something wonderful about a live action drama, and I was blessed by each of these performances. Where have all the proofreaders gone? I’ve occasionally mentioned my interest in eBooks, my own novels are available in eBook form, and I have purchased many eBooks in the past few years. However, eBooks share the problem that some websites seem to have— a lack of proofreaders who know English well enough to eradicate problems. I’m not saying authors should be perfect, because I certainly am not. What I am saying is that there should be a few eyeballs trained on these works before they are put before the eyes of the public. Here are just a few examples from my eBook library, sold by Fictionwise. I could have listed many, many, more, but these should give readers of Pam’s Pages some idea of the problem. "The wreck is blocking all lanes of I-85, it is suggested to stay out of the area if at all necessary." From time to time, I’ve been asked to serve as an editor or proofreader. I will edit, but I don’t like to proofread. Maybe no one else does, either. It sure looks that way, doesn’t it? Ironically, since I posted this, I have followed a some online discussions of a similar topic, limited to New Concepts Publishing. Here's a link to a "Dear Author"blog which is covering the "lack of editing" discussion, which goes beyond proofreading, of course, but in publishing, editors do both, of course.